Monica • Fri, Dec 20 2013 • I`m a 25 year old military wife and mother to our 5 year old son, Rylan and our sweet Maci born 7-17-15. ​ ​hello all. 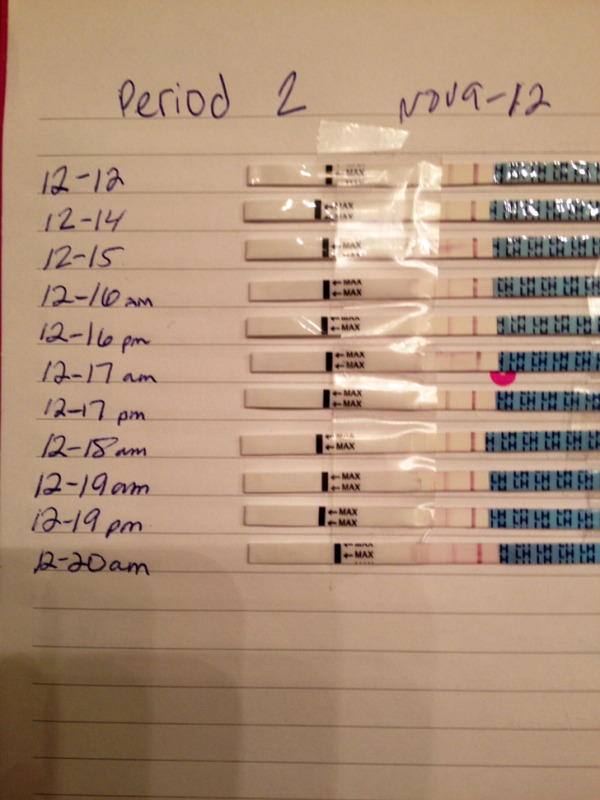 So I've been tracking my O with Wondfo ovulation test. I just thought I'd share my way of keep track of it. I use to just throw them away but found that by doing this I can see how the line darkens each day. 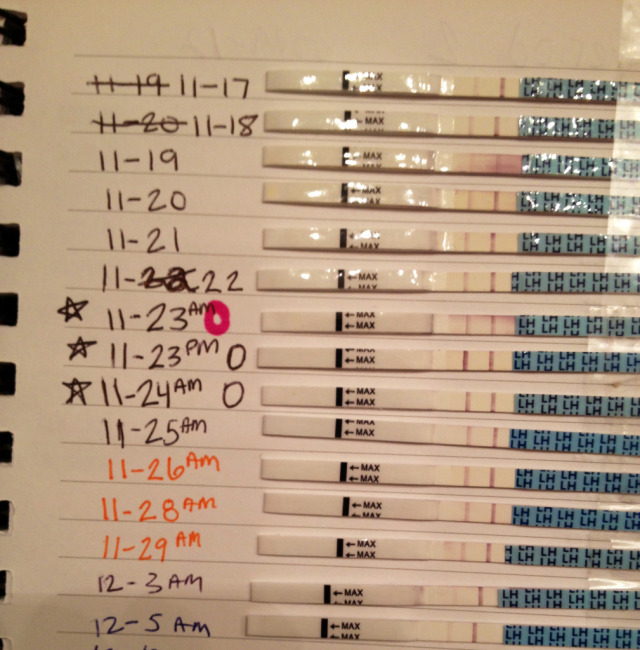 This as you can see the first pic is my month of November and I O'd the 23rd am and it got darker when I took a test that night. Then the 24th am I was still ovulating, and by the 25th the line was lightening. Just thought I'd share!